Recently at the office an automated performance testing team came up to me and asked me a very interesting question – Based on the Windows Process Id, how can one determine the number sessions that have been initiated by a process? The question is interesting because their application is a client-server based application, capable of running on a terminal server. Multiple instances of the same application may be running from the same machine, and hence, simply tracing based on the host name would not be sufficient. The sys.dm_exec_sessions DMV returns one row per authenticated session on SQL Server. 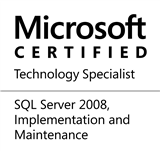 Therefore, the view will return us one record for each session that an application establishes with the SQL Server. The column of interest for us is the “host_process_id”. This columns holds the (Windows) process ID of the client program that initiated the session. Please note that this column will show a value of NULL for internal sessions (established by the SQL Server itself). The SQL Server profiler, being a dedicated debugging and performance analysis tool, has to have a mechanism to track the processes based on the windows process Id. Editing a profiler trace allows us to select data columns of our choice (If you are new to Profiler, or need instructions on how to customize a Profiler/SQL Trace, please follow my series of tutorials on the subject at: http://beyondrelational.com/modules/12/tutorials/631/getting-started-with-sql-server-profiler.aspx?tab=tutorials&ts=46&bs=57). The column – “ClientProcessId” captures the (windows) process ID of the application calling SQL Server. Filtering on the required ClientProcessId column will give us a way to monitor the required session. Let’s take an example – assume we want to monitor the sessions initiated by the SQL Server Management Studio on my machine. To begin, get the Process ID (PID) of the required process. Now, let us launch the SQL Server profiler. Choose a template of your choice to create the SQL trace. As part of the customization, choose to display all columns for editing and choose to display the “ClientProcessID” in the trace output. Click on “Column Filters” and filter on the required host process Id (i.e. PID = 2152). Once done, click “OK” to start the trace. Look at the output of the sys.dm_exec_sessions (query above) and the Profiler. Note that both show the presence of a new user session. The Profiler also shows the associated activity. This entry was posted in #SQLServer, Blog, Imported from BeyondRelational and tagged #SQLServer on July 2, 2012 by nakulvachhrajani.